We’d love your help. Let us know what’s wrong with this preview of Escape into the Blue by Bibiana Krall Supports #IndieApril. What would you risk to chase your destiny? desires, personal devastation and obsession torment h What would you risk to chase your destiny? desires, personal devastation and obsession torment her dreams. web, she sinks deeper into his world. can discover the truth for herself? fairy tale, filled with twists and turns you won’t soon forget. To ask other readers questions about Escape into the Blue, please sign up. I'm an ardent fan of suspense and multi-book series. When the debut novel, Escape into the Blue A suspense thriller, from the Sophia series published in 2015 by Bibiana Krall, crossed my desk, I needed to give it a chance. What an intense ride! The novel is a slow-burner until it's NOT... Sophia is on a plane seemingly only to escape some drama going on in her life. She's been hurt physically somehow, but also emotionally. We don't know why. An escape into the blue sounds amazing, right? Unfortu I'm an ardent fan of suspense and multi-book series. When the debut novel, Escape into the Blue A suspense thriller, from the Sophia series published in 2015 by Bibiana Krall, crossed my desk, I needed to give it a chance. What an intense ride! The novel is a slow-burner until it's NOT... Sophia is on a plane seemingly only to escape some drama going on in her life. She's been hurt physically somehow, but also emotionally. We don't know why. An escape into the blue sounds amazing, right? Unfortunately, this girl seems to be a magnet for trouble. When she arrives in her destination, things begin to get a little aggressive. It doesn't happen right away, but by midway in the book, she's become attached to a few men who aren't very good for her. And by 'aren't very good,' I mean.... does she want to live or die? Anger, love, violence, threats, and so much more ensure in the coming days and weeks. Paradise is never quite paradise, it it? Krall is very talented in describing scenes and settings. You will feel like you're there down to every small detail. Her vocabulary is top-notch and offers a wonderful approach to feeling words transcend off the page. Her characters are flawed, and while I can't say I particularly loved any of them, it's only because so much dimension was added to them that it makes you really wonder... does this really happen to people? And if it does, how would you handle dealing with it? I'm sure the answer is yes... and it's quite a difficult life. Sophia is a survivor, and knowing this was a series, I knew she'd make it out. But the harm that came with it... wow. Poor girl needs a break. Krall likes to torture but find redemption and safety. Good approach! Escape into the Blue is a combination of character and prose unlike anything I’ve read before. I’m not sure what genre this one falls in, and I hesitate to call it literary fiction for fear of scaring off those in search of the simpler form. In short, Bibiana Krall’s writing is hypnotic and her characters addictive. I found myself reading passages over and over again from shear amazement and at the same time longing to get back to the story. Sophia is the kind of protagonist you find yourself ro Escape into the Blue is a combination of character and prose unlike anything I’ve read before. I’m not sure what genre this one falls in, and I hesitate to call it literary fiction for fear of scaring off those in search of the simpler form. In short, Bibiana Krall’s writing is hypnotic and her characters addictive. I found myself reading passages over and over again from shear amazement and at the same time longing to get back to the story. Sophia is the kind of protagonist you find yourself rooting for on one page and wanting to smack her around a bit on the very next, or at least say, “girl, are you serious?” She’s beautiful but not perfect. I’ve never been drawn to freckles so much. Krall does an excellent job giving you the good and bad on every level, emotional, physical, and mental. Sophia’s the kind of girl you should never fall in love with, but any man who comes in contact almost certainly will. Along with its characters, Escape into the Blue goes places you never expect, completely unpredictable. Twists and turns that don’t feel contrived or outlined again give it that literary fiction feel and definitely must be character driven. The supporting cast of characters are also well developed and a mystery as well. There’s so much contrast, so much depth in Pedro and Armando, the animal that is Dante, and bizarre beauty and mystery of Tafari. I couldn’t help but feel that burning desire welling up in me to see this one on the big screen. The imagery, narrative, and descriptive writing no doubt played a part in the growing emotion. The dance scene is spellbinding and the action scenes keep you glued to the spot. I would be remiss if I didn’t add some of the beautiful passages contained in the pages in this review. Clever, Beautiful, Unique, and Witty. Those are the words I'd use to best describe this book. Escape into the Blue is definitely a story unlike any other I've ever read. The writing is very descriptive and deep. 'Poetic Even'. The storyline was very intriguing and kept me on the edge of my seat. When Sophia, a very beautiful and complex woman, tries to escape her tragic past, she soon finds major trouble in paradise. I will definitely be reading other titles from this author. Simply superb. As I started Sophia’s Caribbean journey, I felt elated as I thought she was embarking on a tropical island adventure. However, when Sophia steps off the airplane, I realize this isn’t a typical vacation getaway, but her escape from a painful past, an adventure of self-discovery. "A particular speck on a map became the promised land… Serendipity would be found. Leaving her old life like an unwanted pair of shoes." Underneath Sophia’s youthful, golden blonde façade, lives a splintered soul seeking a As I started Sophia’s Caribbean journey, I felt elated as I thought she was embarking on a tropical island adventure. However, when Sophia steps off the airplane, I realize this isn’t a typical vacation getaway, but her escape from a painful past, an adventure of self-discovery. Underneath Sophia’s youthful, golden blonde façade, lives a splintered soul seeking a meaningful reality of sandy, blue beaches to drown her sorrow, after a tragic accident ruined a promising career. Sophia’s anguish isn’t visible to the human eye, she hides it well, wielding lies like a shield to protect herself. "Dissatisfaction creeps like a wild animal, wreaking absolute havoc. She wanted it all. That lust for life had vanished…Life had stolen it…The gravest mistake in only ever wanting one thing…the dream had been only a mirage." But Sophia is embarking on a dangerous journey. With no money, or place to sleep; she island-hops for gainful employment, winding up on the Isle of St. Demetria. To townspeople, Sophia is a mysterious beauty, and to men, a prize to be won. This archetypal Caribbean town, paved with the blood, sweat, and tears of poor locals, is the underbelly of crime. St. Demetria is a hotbed of carnal desires, swept with intoxicating sultry breezes, the air, redolent of sweet nectar. Icy, cool Cervezas, rum-laced mango drinks, sensual Merengue across local dance bars and a swim in eternity shaped pool at beautiful island homes, inspires nightlife. "It is difficult to listen to our inner voice when we are blinded by the other things. Decadent parties, delicious wonderful parties, Sophia knew something was wrong with this life, these men. Ignoring things only postponed the inevitable." Corruption, deception, lust, love, and murder lives in the heart of St. Demetria’s men and they all want to own Sophia body, heart, and soul. But they will never have her. Herein lays the problem when Pedro, a powerful drug lord, lets her slip into his heart. creating a tension he could not risk." Armando, Pedro’s partner also has eyes for Sophia. "He dreamed of Sophia…Stretched out like a cat…a brand new white bikini accentuating her tan athletic hips…She had the power to ruin it all." Now caught in a dangerous web; she must hide from the very men who coveted her. These men, this way of life isn’t what Sophia came searching for, but now dangerous circumstances force her to flee and find a new strength within. "It finally dawns on her, geography cannot heal these wounds…Sophia finally understood." Interesting. Entertaining. Fast paced. Great, detailed settings that make you almost feel like you're on an island. And hopefully women can learn a lesson or two about life from this story. 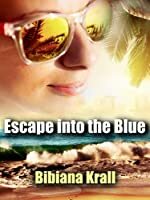 Escaping into Bibiana Krall's "Escape into the Blue", is as close to a Caribbean adventure as it gets. I was reeled into the story from the very first page until the last, where I could feel the warm island breeze on my face, taste the strong Caribbean rum, and smell the salt of the sea. I was there! The more I read, the clearer it became that the author has a deep knowledge and connection to this region. This felt more like someone who was living the story, not just telling it. From the moment t Escaping into Bibiana Krall's "Escape into the Blue", is as close to a Caribbean adventure as it gets. I was reeled into the story from the very first page until the last, where I could feel the warm island breeze on my face, taste the strong Caribbean rum, and smell the salt of the sea. I was there! The more I read, the clearer it became that the author has a deep knowledge and connection to this region. This felt more like someone who was living the story, not just telling it. From the moment the main character, Sophia, lands on St. Thomas, I couldn't tear myself away from the book. I think it would make a blockbuster movie! Sophia, a beautiful and clever young woman, is running away from a tragic past in her home of Chicago. After viewing a postcard of the Caribbean, she decides this mystical, yet often dangerous place, is where she wants to start over. This protagonist is not your typical adolescent. She is wise beyond her years, with an understanding of the world around her, that can only have been learned through life experience. She copes with every new adventure and situation that is thrown at her, with the courage and skill of any adult. The clear, blue waters that surround St. Demetria, the island where she ends up, aren't the only area infested by deadly shark. They're everywhere! Young men, old men, rich and powerful men - all seeking the companionship of the young and beautiful Sophia. However, she is her own person, stubborn and headstrong to a fault, and she hasn't fled her home to start up a romance or become the property of someone else. She's on her own mission. In time, she finds it nearly impossible to deny the attention of such wealthy and powerful men, especially that of Don Pedro...-the most feared man on St. Demetria. "Lonely is the place you live when everything is a lie". "Smiles can hide the darkest hearts", and "a thousand deaths imagined before the actual one," - are just a few of the quotes that can be found peppered throughout the pages of this well written and colorful piece of fiction. I truly enjoyed this read and will be reading more of Krall's books very shortly in the future! Escape in to the Blue with its 21 Chapters captures the reader’s attention from the first page on. I must say the way Bibiana writes and uses the English language is in my eyes exceptional. The story itself is interesting from minute one and I felt like I was watching a movie. That’s how good Bibiana describes every single “scene”, the characters and the story. Taking a flight to a new place and starting a completely new life from zero somewhere new like the Caribbean sounds really tempting. Lea Escape in to the Blue with its 21 Chapters captures the reader’s attention from the first page on. I must say the way Bibiana writes and uses the English language is in my eyes exceptional. The story itself is interesting from minute one and I felt like I was watching a movie. That’s how good Bibiana describes every single “scene”, the characters and the story. Taking a flight to a new place and starting a completely new life from zero somewhere new like the Caribbean sounds really tempting. Leaving everything behind for sun, sandy beaches and palms is like opening a new book chapter of Life. When you’re young, you’re naïve and fearless. And thanks to immaturity and lack of life experience you get caught in the moment. Sophia has an idea of the new place and the people, but realizes soon that nothing is as she hoped for. Her wishful thinking turns into hard reality. Sophia has to deal with a few Latin “boys”, who behave very much differently than Mid-western “boys”. Her new life is not as easy as she hoped for. The only thing she has as trump on this island is her youth, which is a blessing and a curse at once. Why? Because it makes it easy for her to run into the wrong people. Unfortunately she gets into trouble by meeting nasty and influenced rich people with their yachts on the island, who are selfish and thoughtless. And of course being surrounded by negative and superficial people has consequences. Escape in to the Blue is a book filled with passion, longing and desires. A mix of drama, thriller and crime makes it a fascinating fiction book to escape from reality and forget your own worries for a while. I give the book 5 stars on Goodreads and recommend it especially to young female readers. Because even though the book is fiction, it still does educate you about Life, judging people and making decisions. Sophia’s journey is a giant lesson of real life and real people. It could easily be based on a true story that tells us not everything that shines is gold and you can’t run away from your Life and responsibilities. Life catches up with you! This isn't your bog standard book...if that's what you're looking for this book isn't for you. The author's style of writing is different from anything I have come across before, it felt as though I were peeling back layers of an onion (I don't mean it made me cry!). I never knew where the book was going which wasn't a bad thing at all. The beginning was beautifully descriptive but to the point if it had carried on it may have been too much, but it changed and kept changing. Hence the onion, lay This isn't your bog standard book...if that's what you're looking for this book isn't for you. The author's style of writing is different from anything I have come across before, it felt as though I were peeling back layers of an onion (I don't mean it made me cry!). I never knew where the book was going which wasn't a bad thing at all. The beginning was beautifully descriptive but to the point if it had carried on it may have been too much, but it changed and kept changing. Hence the onion, layers of imagination building crescendo until it crashed on the beach like a tidal wave. My only criticism would be sometimes the POV changes weren't clear and I had to read back again. Sophia is a complex character, a young girl running from her family and a tragic event, she has a moral core that sustains her in the turbulent world she enters. I would have liked to have understood what shaped her, to know her back story but I guess this leaves it open for the author to write another book and if she does I will be buying it. Some fantastic quotes from the book: "Thoughts chased her on that deck like vicious poltergeists," "Colours stolen from rainbows,"
Leaving her past behind her, Sophia finds herself in a tropical paradise where she prepares to make a fresh start. The author’s writing was so beautifully descriptive that as I was reading I felt like I was basking under that Caribbean sky myself! Young and beautiful, Sophia soon becomes a magnet to the wrong kind of attention from the wrong kind of men and finds herself embroiled in the criminal underworld. This story flowed nicely, keeping me on the edge of my seat. There were so many twists and Leaving her past behind her, Sophia finds herself in a tropical paradise where she prepares to make a fresh start. This story flowed nicely, keeping me on the edge of my seat. There were so many twists and turns as it approached the end that I couldn’t wait to see what would happen next! 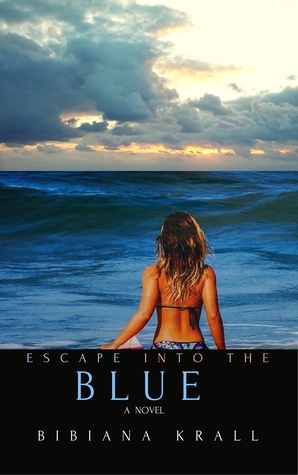 Escape into the Blue was a fantastic book from a talented author, Bibiana Krall. "Immersive writing in search of the heroine." Welcome to my page, thank you so much for joining me here! My latest Abulon, is a modern fairy tale #NewRelease is a short story filled with breathtaking imagery, etched with the ebb and flow of romantic love, magical and folkloric elements. Available on Amazon now.